Living with impulses may make a person more likely to use substances that can damage the body. Treatment centers for impulsive disorders and substance abuse issues understand how hard daily life can be for people struggling with these conditions. Call us at 1-888-319-2606 Who Answers? for information on rehab and recovery centers for impulsive disorders and substance abuse near you, so you or a loved one can get the help you need to live a more positive life. Impulsive disorders may be made worse with the use of alcohol or drugs, since they can make a person more impulsive or likely to seek out dangerous risks. Adding this mix to an already impulsive personality can be life-threatening. Pathological gambling is also known as ludomania. This is the uncontrolled urge to gamble continuously, even if the person has a desire to quit or is suffering from negative consequences due to the addiction. This common disorder comes at a high cost, and it is associated with social and family problems. Pathological gambling often coincides with alcohol abuse and drug use, and reducing those issues may help alleviate some symptoms. Behavior therapy and training used for other impulse-related issues may also help. 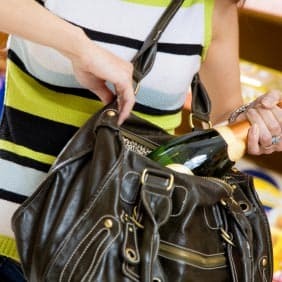 The inability to stop yourself from stealing is kleptomania. The stealing is not done for personal or financial gain, so it is distinct from thieving for monetary gain. The characteristics of the disorder include obsessive-compulsive-like feelings of intrusion, the inability to resist stealing and a release of pressure after stealing. Those who struggle with this condition may take drugs or drink to escape the feeling of wanting to steal, especially since this is not always a premeditated activity. Pyromania is an impulse control disorder. With this disorder, people will fail to resist the urge to light things on fire. Pyromaniacs may start fires to induce euphoria, and they may study and fixate on buildings that relate to fire, like fire stations, vehicles such as fire trucks, and firefighters. Pyromania sufferers may benefit from behavior therapy and some medications, like SSRIs. Onychophagia is better known as nail biting. It is a common oral habit of adults and children. Nail biting can lead to infection, and it may lead to malocclusion of the anterior teeth and gingival injury. Pinworms and bacteria may also be transferred in this manner, and nails may become seriously deformed. There are a number of treatments a dual-diagnosis clinic may employ, from painting nails with a bitter-tasting nail polish to using behavioral therapy to help a patient unlearn the habit. Anxiety due to drug use or alcohol abuse may lead to more severe cases of nail biting. The best dual-diagnosis program for people with these impulsive disorders will have therapy, medication and detoxification services. Treatment centers for impulsive disorders and substance abuse are trained to deal with these issues via a variety of means, addressing both issues simultaneously during treatment. Call us at 1-888-319-2606 Who Answers? to learn more.
. American Psychiatric Association (2013). Diagnostic and Statistical Manual of Mental Disorders, 5th Edition (DSM-V). Arlington, VA: American Psychiatric Association.